Vernonware produced "Heavenly Days" from the late 195o's to the early 1960's. "Heavenly Days" is in the Anytime shape. 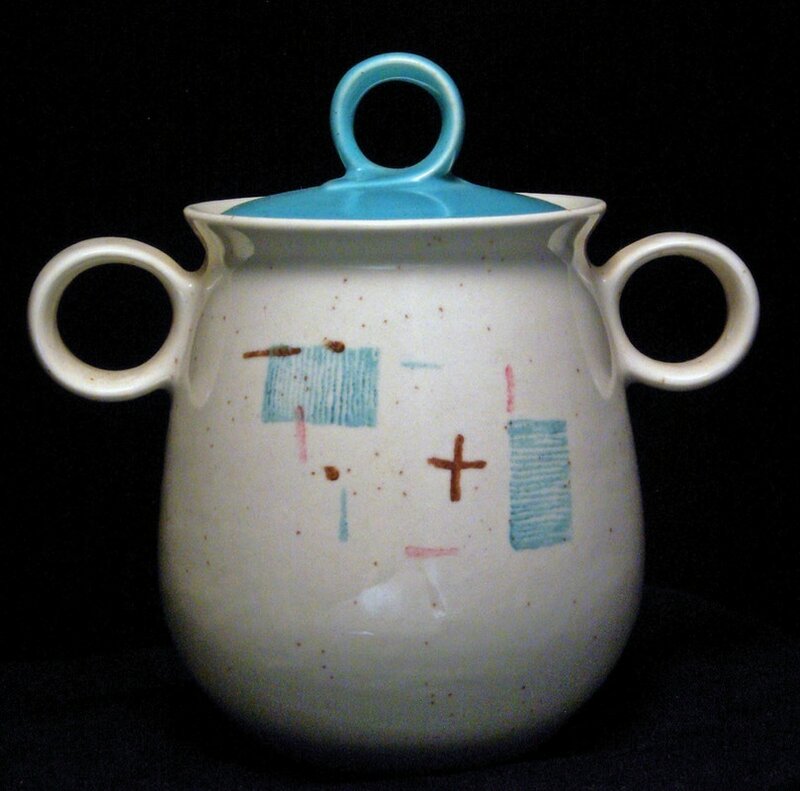 A fine example of mid-century modern California dinnerware. 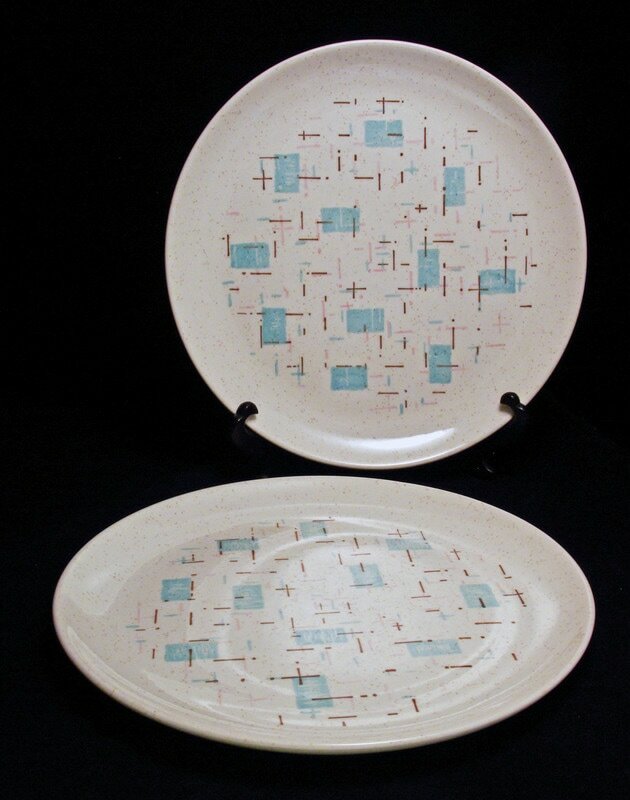 "Heavenly Days" is in the Anytime shape, a fine example of mid-century modern California dinnerware. 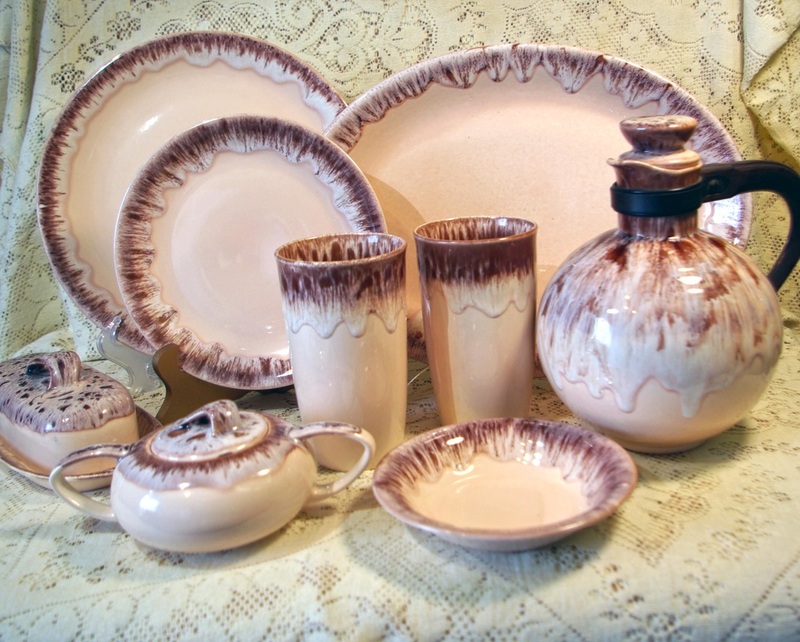 Heavenly Days was initially manufactured by Vernon Kilns in 1955. Metlox purchased the name and molds in 1958 and continued producing the line until 1965. The only change in the pattern was a slight weight and thickness increase caused by the use of a different clay. 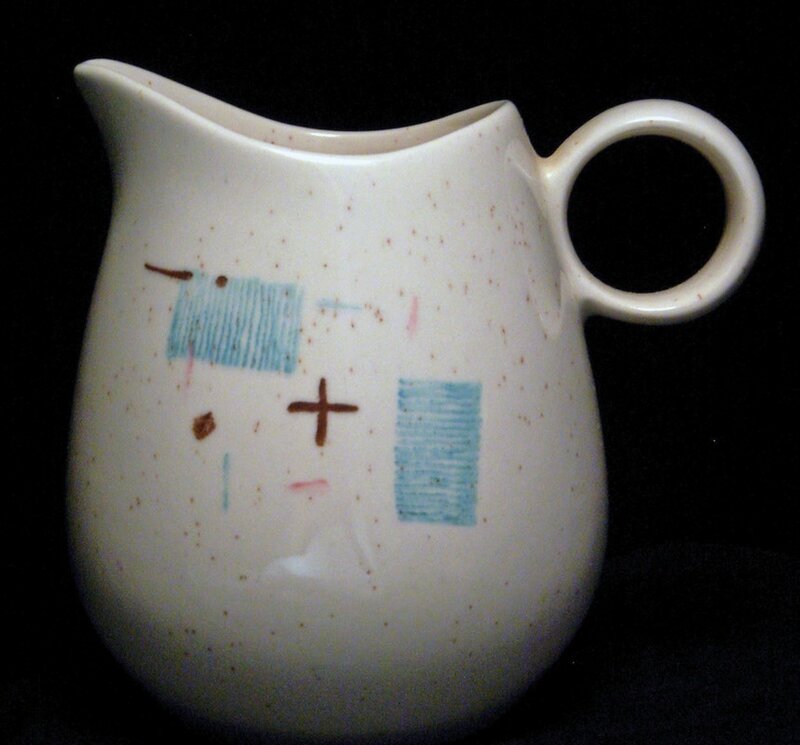 The pattern consists of turquoise squares with charcoal and pale pink lines and dots on a lightly speckled white background. Many of the bowls, the cups and some of the serving pieces are a solid speckled pink adding balance and contrast to this classic 1950s dinnerware line. 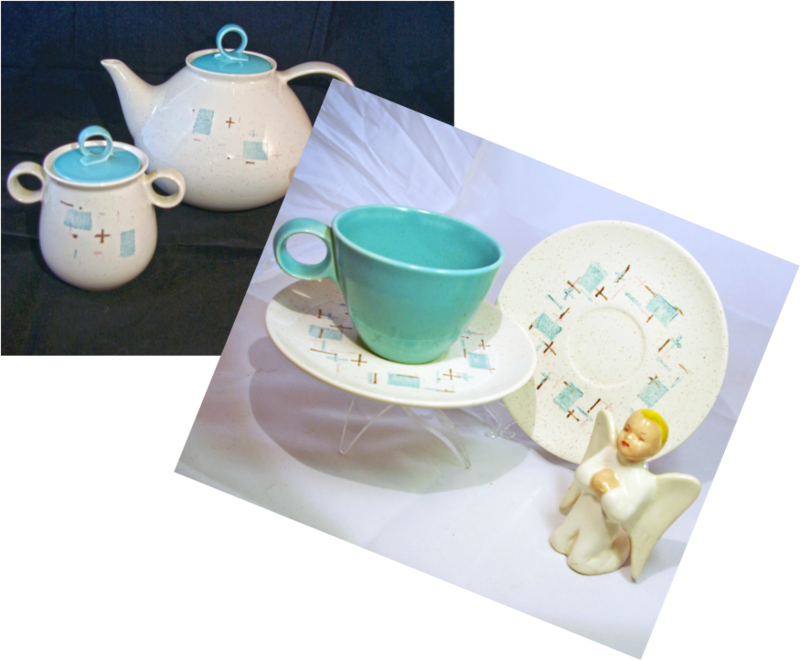 Vernonware produced "Heavenly Days" from the late 195o's to the early 1960's.